I love samples, who doesn't? I made a tiny Sephora order last week and I received four samples. (Hooray! Someone can't count. It should have only been three.) 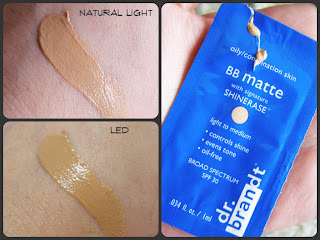 The one I didn't ask for was a foil pouch of Dr. Brandt Skincare BB Matte with "Signature Shinerase (tm)" It's designed for combo/oily skin, but I figured it would be fine for my combo/dry skin. Boy oh boy, was I wrong. Like a fool, I cracked open the pouch and slathered this stuff over my face. It has a weird...smelly...smell. And a very mousse-like consistency. A little sticky though. I definitely had a bit of trouble getting it to blend into my freshly moisturized skin. There were some spots that it got cakey and weird...I almost didn't leave the house with it on. 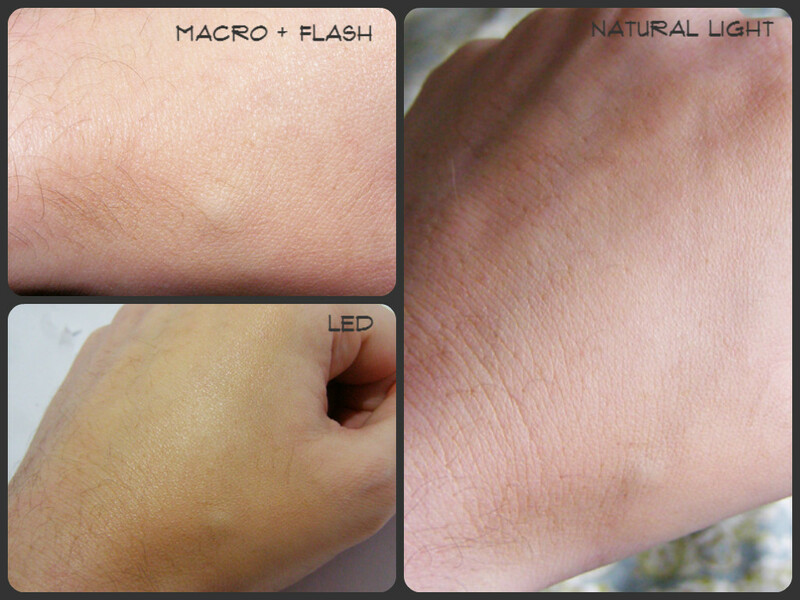 I'm not sure if the consistency problems were because my skin isn't oily, or because it's supposed to be that way. The color was also a problem for me. 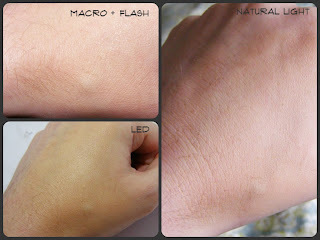 I never really trust those "light to medium skin tone" claims that companies make. I am generally not in the spectrum for those. This was no different. Definitely too orange on my fair skin. 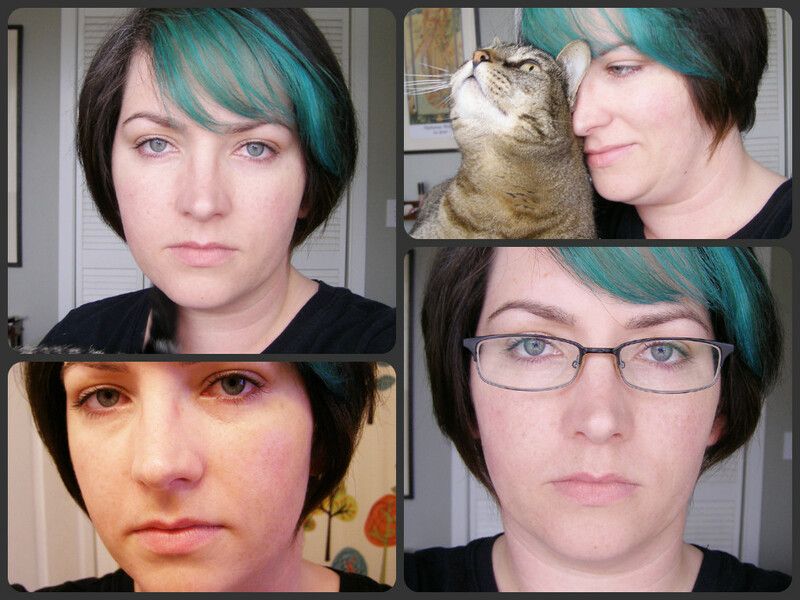 The one redeeming thing about this stuff: my face was matte. 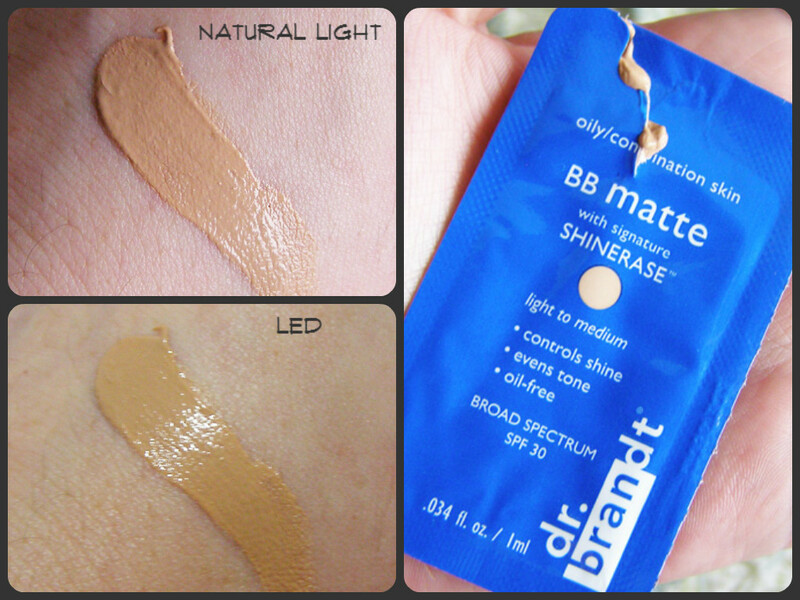 Way more matte than any other BB cream I've ever tried. If I were a slightly darker person with oily skin, I would be willing to wear this for longer than 3 hours. I can't recommend this, but I am not the target audience so my opinion of anything other than the smell and consistency shouldn't be taken too seriously. And because this post is useless without pictures, please to enjoy my misery. chin. I was actively self-conscious about it. Also, bonus cat! I still have a "medium to dark" foil pouch if anyone interested in trying it. I will gladly trade it for a foil pouch of some other product. Send me an email, or a message on twitter, and we can settle the details. "Hooray! Someone can't count. It should have only been three" I laughed out loud at this, I also got an order last week with 4 samples. But, in serious talk, I have learned to hate BB creams, which is probably really sad... but I hate that they pretty much all come in one shade fits all. I appreciate that there are shades in certain brands (I have a Missha tube that I don't hate), but we can't all fit under "Light, Medium, or Dark". Thanks for posting this! I'm starting to hate them too. I don't know what freakish land these cosmetics makers live in, but I want to see it...just to know what ungodly color these people are. haha it doesnt! But in person, oh man. It was goopy and sad. I think it I naturally had more oil to my skin, it would have blended a bit better.